Home|How Can an Old–Fashioned Weapon Become a Modern, Soft Power Tool for Turkey? How Can an Old–Fashioned Weapon Become a Modern, Soft Power Tool for Turkey? With these descriptions, governments are shifting the power from the state to non-state actors to win hearts and minds because non-state actors are well positioned to use soft power. Some experts believe that the idea of soft power is an idea related to American values and that any round, soft power tool must be related to American culture. In any case, it ought not to be overlooked that the majority of American values are not the principle estimations of the entire world. Rather, numerous nations and societies have their very own values and believe that these values will be the soft power of their governments. The changing concept of diplomacy has allowed countries to reorganize their visions of public diplomacy and to create a positive perception in the minds of different societies using a new road map they have created. Under the new conditions of the information age, a soft sell proves to be more effective than a hard sell. The success of public diplomacy is measured by how it changes minds, not money spent. Winning the hearts of people is becoming more critical in the field of international relations. Sports diplomacy is an element of public diplomacy practices, and sports can be an opportunity for states to achieve their public diplomacy goals because sports speak to people where you don’t have to have the same language skills. And sports diplomacy provide a way to have a conversation with people across the world where other diplomacies don’t. The success of public diplomacy is measured by how it changes minds, not money spent. Turkey has one of the leading public diplomacy institutes, which has started to use sports diplomacy as a soft power tool to have a positive impact on foreign societies and to win the hearts of people from different countries. As Nelson Mandela once said, “Sports have the power to change the world.” Since the huge population of the world is witnessing rising tensions worldwide, Turkey's NGO Archers Foundation and the Yunus Emre Institute have decided to organize a traditional Turkish archery course under the name of “Kemankes Project” for youth in different countries, with the aim of consolidating the friendship and cultural ties between states by introducing traditional Turkish archery. The bow and arrow have been used as a war instrument since the prehistoric times and have been seen as the symbol of power in many societies. Although it has been used in different forms and areas in Egypt, Assyrian, Hittite and Chinese civilizations, it has reached its most developed form with Central Asian Turk tribes. With the help of the arrow and the bow, many Turkic tribes have spread to vast lands and have established dominance there for many years. Turkish archery experienced its brilliant age in the time of the Ottoman Empire. The firearms that developed after the 17th century were supplanted with arrows and the bow, and archery has started to be seen as a sport in Ottoman society. The aim of the archery project is to introduce traditional Turkish archery to the world and to bring new athletes to the ancestral sport, and 40 athletes from Germany, Bosnia-Herzegovina, Morocco, Palestine, Iran, Japan, Qatar, Kazakhstan, Turkish Republic of Northern Cyprus, Lebanon, Malaysia, Egypt, Poland, Serbia, Sudan and Jordan were trained in İstanbul. As part of the training, Archers Foundation coaches and experts shared all kinds of theoretical and practical knowledge and experienced about traditional Turkish archery within the curriculum, and the athletes visited the historical and cultural attractions in Istanbul. After returning home to their countries, participants began to teach Turkish archery courses with handmade archery materials in special classes at the Yunus Emre Institute branch in their respective countries. Therefore, these participants have become Turkey's sports ambassadors to promote Turkey's values through sports. Ahmet Abdurrahman Besir from Sudan, an archery trainer who participated in the program, stated that he is pleased to transfer some of his knowledge to the Sudanese. 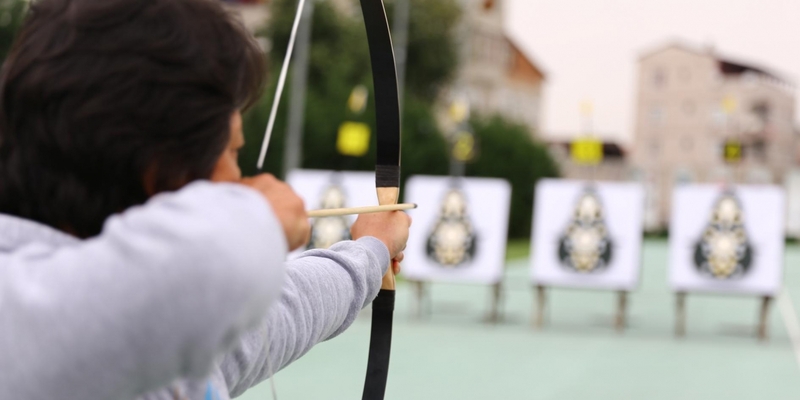 In addition to that, a Malaysian school is planning to include Turkish archery class in its curriculum. To increase people's familiarity with Turkey, the old-fashioned hard power tool “archery” can now be considered as a soft power tool. Although the definition of smart power cannot be fully met, archery can be a bridge between soft power and hard power. Executive Director, Yunus Emre Foundation, Washington, D.C.